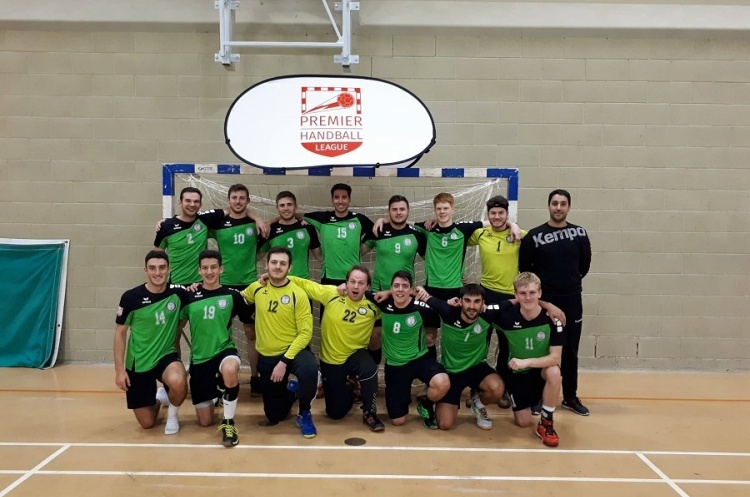 Nottingham beat NEM Hawks in the Men’s Premier Handball League while Cambridge won against Warrington Wolves in a thriller, and West London Eagles took maximum points in the basement battle with Liverpool. A close first half at Oldham saw Hawks trail by just two goals with the scores at 15-17. However, Nottingham extended their lead after the break to win 34-27, and make it four wins on the trot. Hawks’ Ryan Goodwin top-scored in the match with 10 goals, while Jordan Price beat the keeper eight times for Nottingham. The result sees Nottingham move onto 14 points, level with Hawks, Warrington Wolves and Olympia, but behind on goal difference. However, Wolves and Hawks have played a match more, and Olympia a game less. Cambridge came out on top against Wolves in a nail-biter at Powerleague Trafford, winning 34-33. Wolves edged the first half 13-12. The second half was a close affair as well but Cambridge fought back to take the honours. Wolves’ Rafik Tahraoui found the target 10 times, while Zsolt Majoros scored eight for the visitors. Cambridge are in sixth with 13 points, meaning just one point separates second to sixth. West London Eagles broke their duck this season when they beat Liverpool in the 21-17 in the match between the bottom two. Eagles led 14-9 at half time at Powerleague Trafford. Promoted Liverpool were only able to reduce that deficit by one goal in the second half. Eagles move onto nine points, while Liverpool have seven.